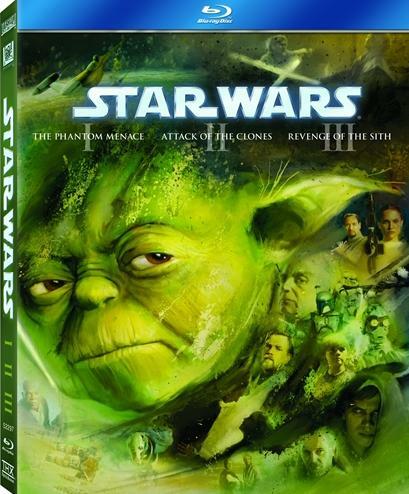 I actually don’t mind that George Lucas spruced up and modified the Star Wars prequel for the Blu-Ray releases. CGI dates poorly, after all, and the prequels are extremely reliant on it. On top of that, whereas the original trilogy was made at a time when the prospect of redoing the special effects at a later date was simply unthinkable, the prequel movies came out in the wake of the Special Editions. Plus, of course, there’s the fact that the impact of the prequels was rather different to that of the original movies. The original Star Wars changed the direction of cinema and revolutionised the use of special effects; the prequel trilogy instead changed the direction of fandom, and not in an especially positive way. Cast members – and Lucas himself – have had to suffer enduring abuse for what the movies have wrought. This is largely undeserved. Ahmed Best and Jake Lloyd in no way deserve the abuse that’s been rained down on them for their roles as Jar Jar Binks or baby Anakin, for instance; it’s pretty evident from most behind-the-scenes featurettes and stories that George Lucas was wholly in control of the production process and was the final decision maker, so if the blame lies anywhere it’s with George. At the same time, there comes a point where piling on George becomes tiresome in its own way. Sure, there’s aspects of the movies which are unconscionable and which he richly deserves to be called out for; the reliance of The Phantom Menace on a range of crude racial stereotypes as a means of providing cheap, lazy characterisation for alien species was abhorrent at the time, and only feels more and more dated and disturbing as time goes by. There’s really no debate needed on that – if you can’t see that the Trade Federation are based on thinly-veiled stereotypes about Japanese business culture, or that Watto draws on cartoonish antisemitism, I’m not sure what I can say at this stage to persuade you. However, two of the three prequel movies are perfectly cromulent family entertainment – not excellent, often not even good, but functional at what they do. The remaining one is an utter mess, but still, overhyping how bad the prequels are does everyone a disservice: it lets the really unforgivable errors and mistakes off the hook whilst casting aside the redeemable bits.